A few weeks ago I took a small trip to the Capital - London and no visit would be right without a trip to the new Lush Cosmetics store on Oxford Street. 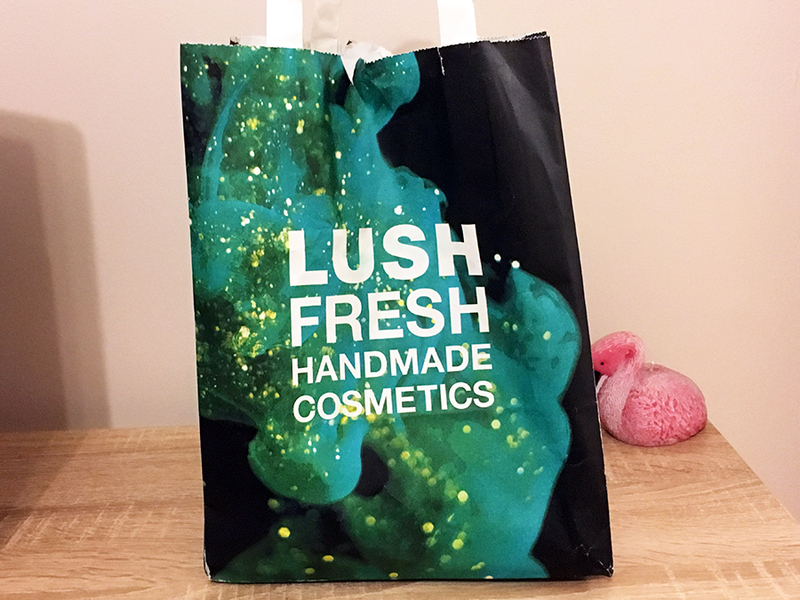 It was the first time I had visited the place and boy was I blown away, it was like a sweet shop full of bath goodness!! I was a very good girl and only got the five items I went in for which is pretty good for me as I can get carried away for sure. The items I purchased were; 5 Gold Rings, The Comforter, Candy Mountain, Snow Melt and the Magic Wand. 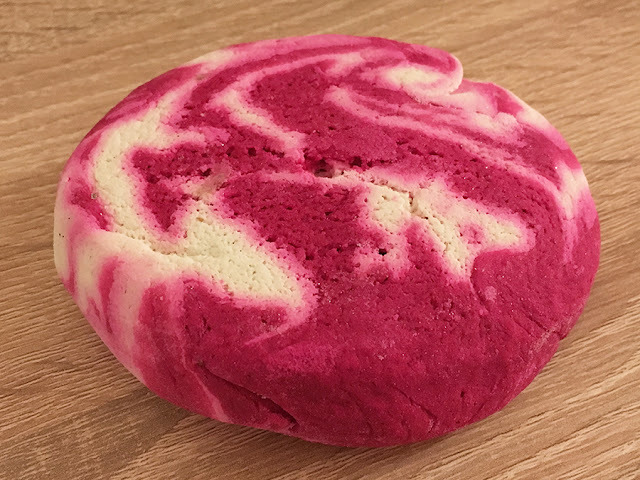 This bubble bar is such a sweet sugary smell, like you have got a huge bag of Haribo under your nosee. Along with the snow Fairy shower gel, these have to be the two iconic products at Christmas. 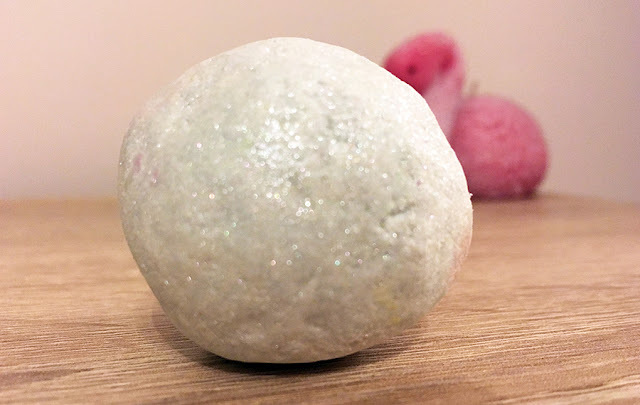 It is the first time I have ever bought Snow Fairy so I cannot wait to give it a whirl in my bathtub. I could be barking up the wrong tree here but I do believe these are new this year. They are a much more subtle scent than all the other products I picked up but they have to be the messier with all that glitter on them. What's great is the gold rings will last five whole baths!!! 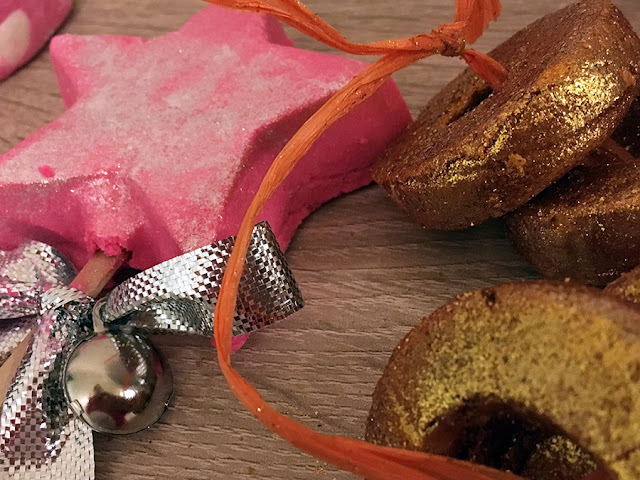 You only need one ring per bath which is great and such a bargain, all you need to do is crumble them under running water to creative lots of festive, glittery bubbles. 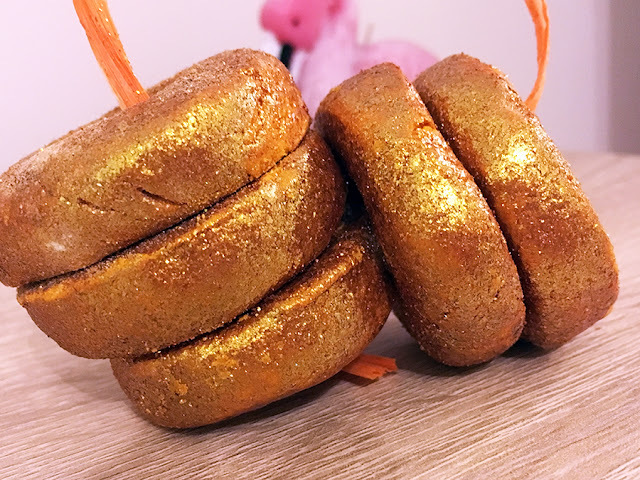 I tell a lie earlier, this bath melt was not on my list when I visited the store, I was heading to the til when I came across these glittery balls of goodness. 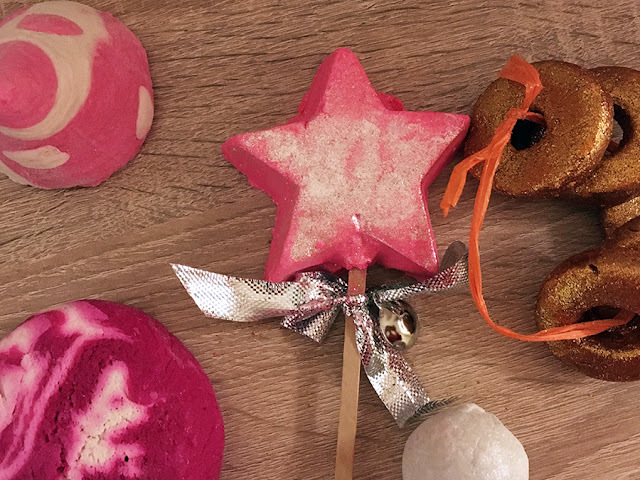 A bath melt is not something I would ever think of trying, they are quite unusual but a great concept in these winter months. You just drop it into the water and it gently melts making it soft and luxurious to soothe dry skin. WARNING: The bath will be very slippery quite a few days after!! 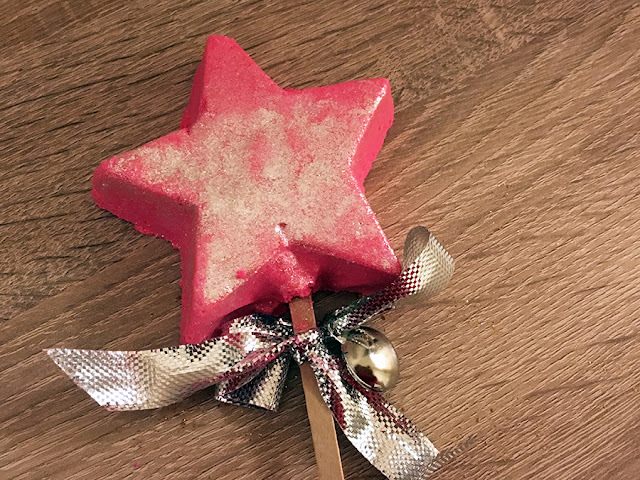 Just look how cute it is, its a glittery pink star on a lollipop stick with a silver bow and a mini bell!! 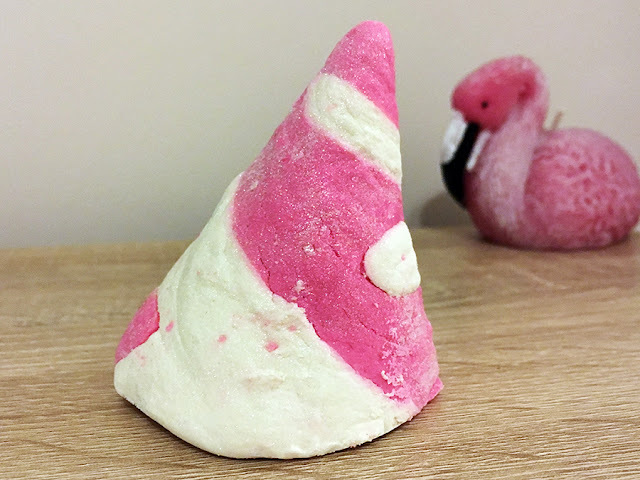 I never got round to buying one of these last year so I knew it was a must for 2015, its almost too pretty to use but I will try it one day before Christmas I promise. The label tells you to crumble it into running water but you can swirl it around on the stick and just re-use it until it runs out. 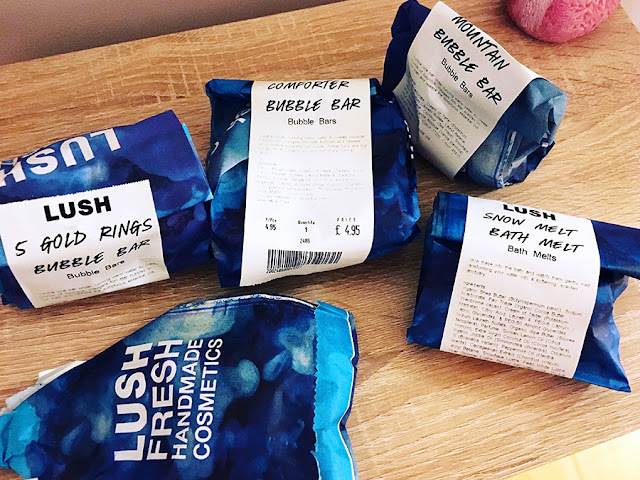 As you can see, most of the products I picked up were Bubble Bars, I do love a bath bomb don't get me wrong but I prefer how they make bubbles where as bath bombs just disappear.